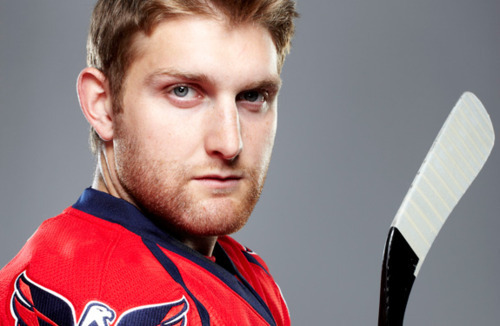 Karl Alzner | What's Up, Ya Sieve? We're girls. We love hockey. We went to Boston University, so we watch MIRACLE a lot. In case you missed it yesterday, check out our post from Puck Daddy! In this year’s Stanley Cup Playoffs, the fates select which beards will have a chance to realize their true potential. Five teams remain. Five beards (OK, six) have emerged as top contenders for Beard of the Year. None of these teams made it past the second round last season, so the promise of greater bearded glory shines bright. Some faces are familiar, some are new. All are hairy. Remember when Harry Potter got so angry at Dudley that he made the glass disappear and unleashed a snake into a room full of kids? 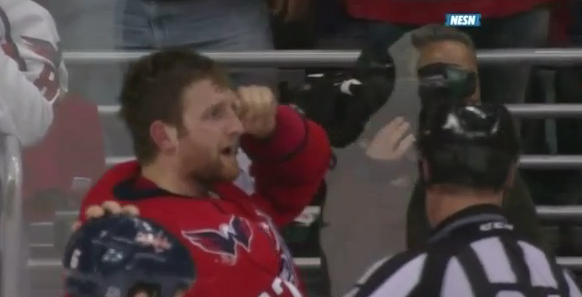 I wanted to disapparate the glass in the Verizon Center last night and let the fans go berserk. I have never been so worked up at a game. 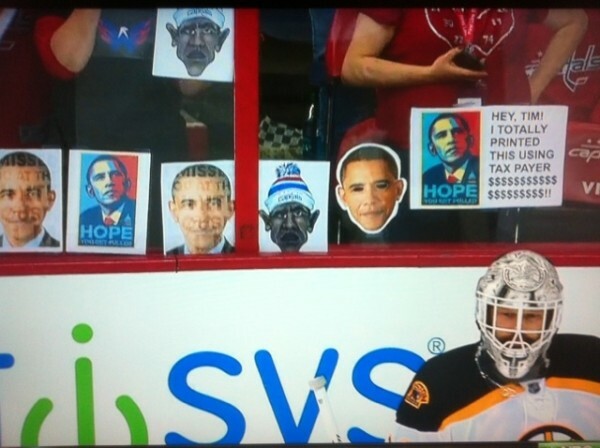 As the old adage goes, “If you can’t say anything nice, don’t talk to opposing teams’ fans during the playoffs.” Since I can’t say anything about the Bruins that couldn’t later be used against me in a court of law, I will instead focus on what I did and didn’t like about the Caps game 3 effort last night. He’s the third man into this scrum for sure – just the 857th penalty not called last night, on either team, including about five in the ten seconds prior. 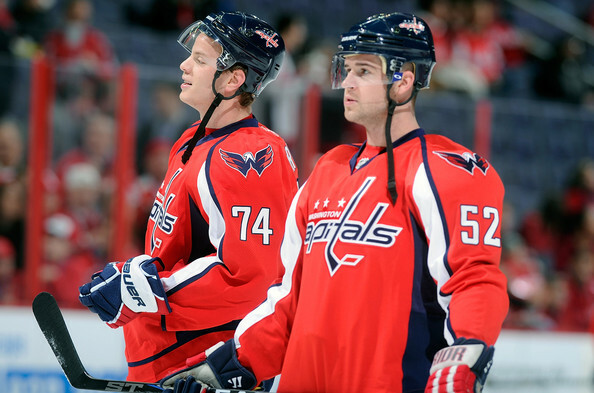 The Caps were already shorthanded and this could have really put them in a tough… oh wait, they lost anyway. So I don’t care! That is exactly why this was awesome. Get in there, Karl! What are you going to do, make Looch play tougher? Not possible. Make him fight you? Like he needs a reason, and even now you’re not at the top of his list. Overall this was harmless to everything but the fact that we’ll remember it. Put it with the “shhhh” and the salute as a little something that can go a long way for your team. Can't wait to see your beard in Round 2. The first period was blistering. Caps fans live in fear of the surprise appearance by that team from this season who didn’t care, the one with cement skates and a hangover. But last night we got the zip, and we got it early. Too bad for Ovi he used 90% of his energy in the first period, checking everything that moved, then ran out of gas. Get him a Power Bar, Dale, and get him back out there! 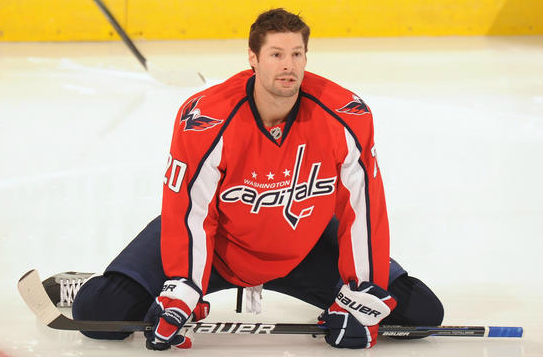 Great hustle from the forwards last night – especially Brouwer and Brooks. DISLIKE. There is a Jeff Schultz-sized hole in our blueline. Is this guy really our best option? Every time he comes near the puck, Gator yells, “Schultz!” like Seinfeld yells, “Newman!” Orlov is a spastic 7th grader, but at least he’s quick. Also, Mike Green – he managed four more shots last night, but still seems to go from great play to complete lapse every possession. 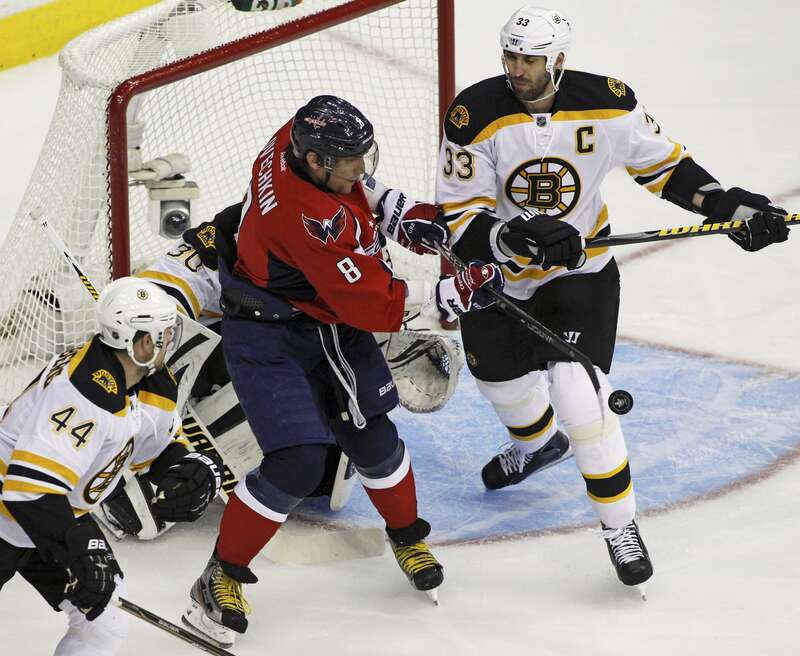 The Bruins can play tighter and the Caps better figure this out before they do. The Caps seem to have finally conquered their demon of consistently getting into the offensive zone. It’s not always clean, but it’s better. Now they are hung up on cross-ice passes below the hash marks. It nearly worked in the first, but the Bruins closed that hole. The Caps continued to try ad nauseum – their game needs to be more adaptable/unpredictable. You know the game where you guess how many jellybeans are in the huge jar and if you win, you get the jellybeans? No one can guess how many times Russian Machine Never Breaks has implored this team to crash the net all season – it’s well over a billion. The Caps should replace #4 with this idea, because I like jellybeans. We know you’re frustrated, Piglet. We know Thomas clocked you with a blocker after a whistle in game 1 and didn’t get called. That’s why it felt so damned good when you beat him for the double-OT winner next time. Please continue to respond as such… if you get the chance. This is just dumb. The game is over. Everyone has been running everyone for free but Backstrom decides to make himself the price of a cross-check that gains nothing. Hunter expects the NHL to rescind the match penalty and automatic one-game suspension that was assessed to Nicky because it “was not that bad.” [link] Maybe not – I can’t tell from the video if he gets Peverly’s face or his arms. But there’s no question that it’s stupid and he’ll be lucky not to sit the next one out. I actually said, “Baby Jesus in the manger.” when I saw this. For the record, Gator is fine. She saw this last night and didn’t even mention it. In fact, no one mentioned it. I thought we were friends, you guys!!! And Karl too, of course. These two are so freaking precious. Here’s Zac’s story [link, video] and how you can support his fight against cancer. Categories Bromance, Glamour Shots, Well OBVIOUSLY. Happy Birthday, iCarly! John is 22 today. iCarly was born outside of Boston (represent!) and grew up in New Jersey. We can’t explain the math but this makes us love him even more. 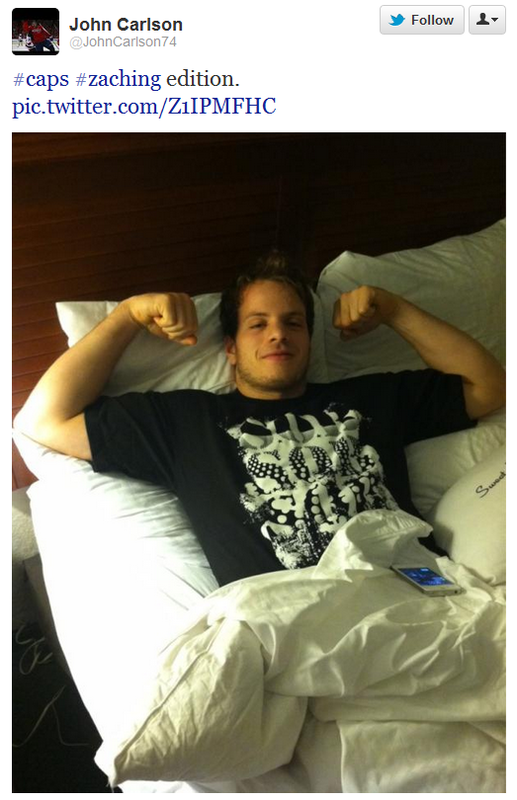 In the 2010 World Junior Championship vs. Canada, John had two goals including the OT winner to give America the gold. 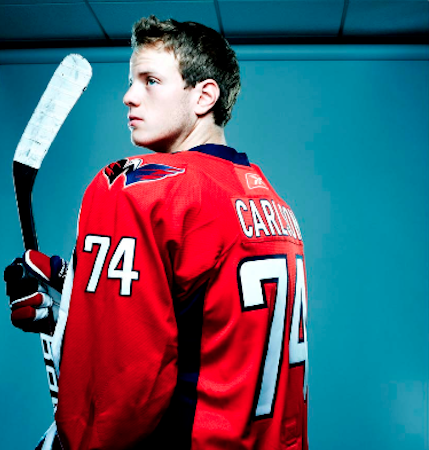 He used to wear 11, but it wasn’t available on the Caps so he chose 74 because 7+4 = 11. Admit it, that’s cute. John has 5 G /17 A this season, which is the last season on his NHL Entry Contract. 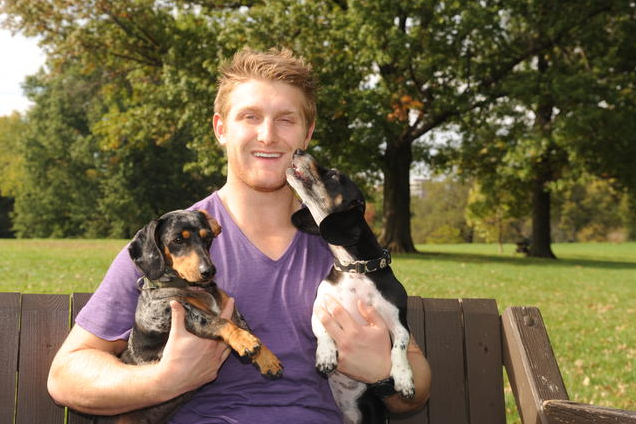 He most often plays the blue line with his one true love and defensive partner, Karl Alzner. If they played on any other team, they’d win Best Bromance. We obviously love iCarly around here. He strangely resembles both Mena Suvari and Anton Yelchin at the same time. He wears his helmet tipped back and is forever looking out from underneath the visor, as if it weren’t see-through. It’s a constant source of amusement for me and Gator. Mostly we love him because he’s scrappy and plays with a ton of energy. And he falls down pretty often. Plus Gator’s mom is going to love him when he shows up to take her to the prom. If someone finds my lifeless body later today, no need for an investigation. 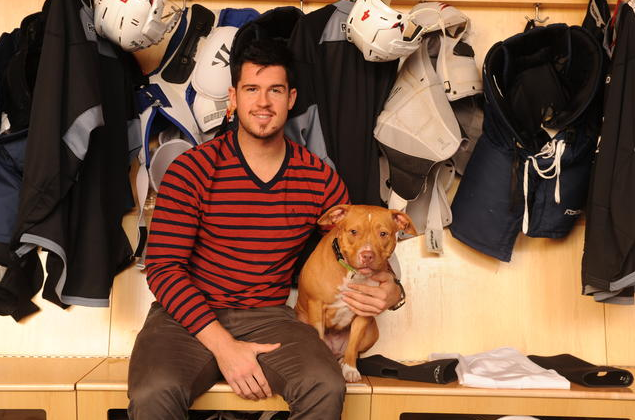 Cause of death: Mike Green with this dog. Why is this picture killing me so much? Why do I love a shirt that’s kind of ugly and doesn’t even really match his pants? Who has bacon behind the camera, because the dog is ready to bolt? These questions I’ll have to answer from the Great Beyond. 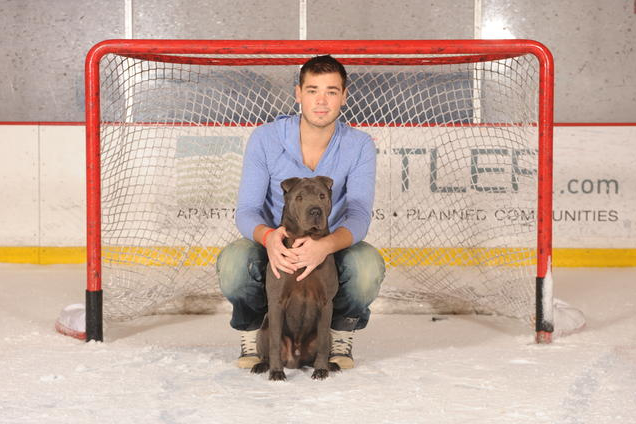 The Capitals Canine Calendar is out, featuring players and their pets or shelter pups from the Washington Animal Rescue League. You can see all the pics here [link] and buy calendars at Kettler IcePlex or on the 100 level of Verizon Center during December games. Prepare to swoon. Troy brought his own dogs to the shoot. 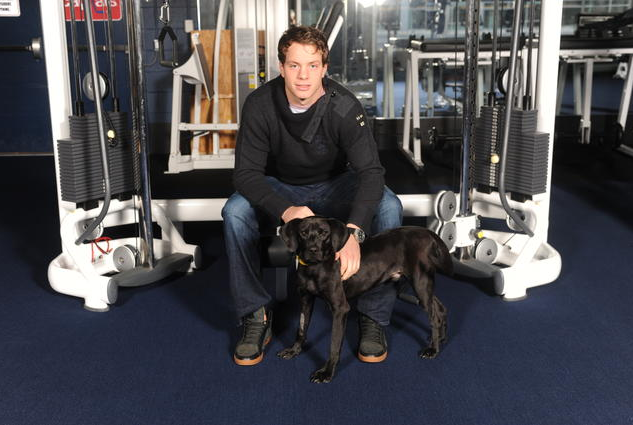 Neuvy and Hagrid's dog, Fang. Nicky is scared of dogs, so they brought a puppy just for him! 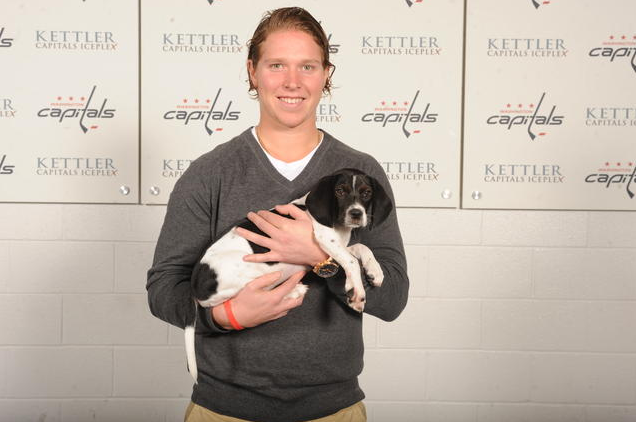 And I thought Nicky was the puppy the Caps brought just for us. And just to make sure I’m not alone in the afterlife, you can bury Gator right next to me. Sorry, I digressed! Can you blame a girl? Mike was back on the Twitter this weekend – without revealing where he was going (or why, since the Caps were home and he was practicing), he dropped this gem of practical wisdom. Some might say “Wear socks in the middle of winter,” but they don’t know how warm moccasins can be. Categories Dawn Loves, Newsies, Pants Loves, Well OBVIOUSLY. 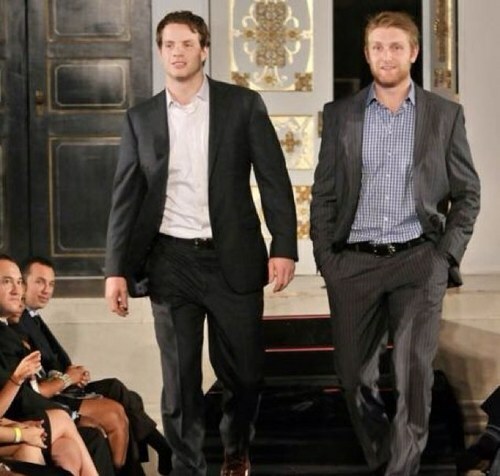 Gator and I would be going to the 2011 Walk This Way Charity Fashion Show tomorrow night in DC. 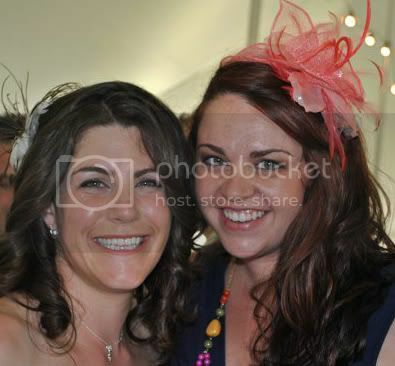 And not just because it’s a great event. We’d go to this and the Caps Casino Night and more games and better seats and… at this rate, poor Intern Jeff Skinner is never going to get paid. Is anyone going to this event? Would you like to be knighted by the Order of the WUYS Empire and report back? Gator and I had the best time ever at the Caps Home Opener on Saturday. First of all, the warm-up skate. 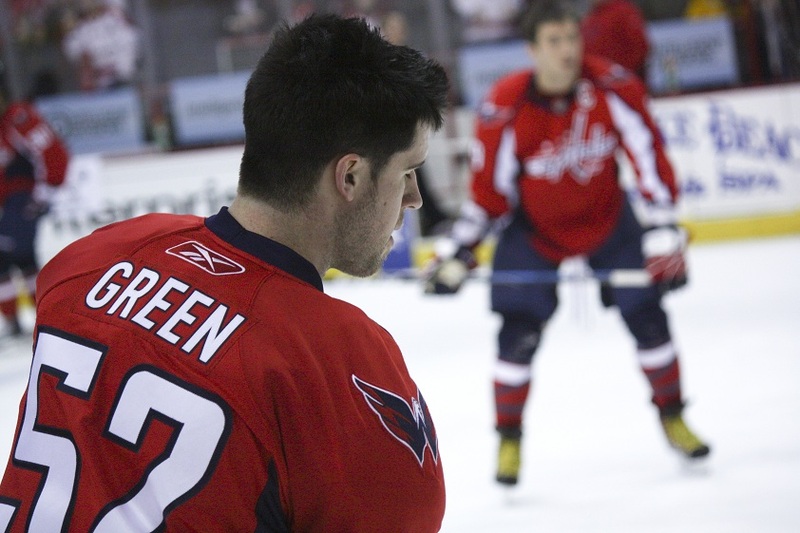 Mike Green, no helmet, cruising around like the Fresh Prince in Summertime – “Two miles an hour so everybody sees you.” Yes, he’s fresh from the barber shop and basketball courts in the summer got girls there. I am telling you this guy does his hair with a mascara wand. 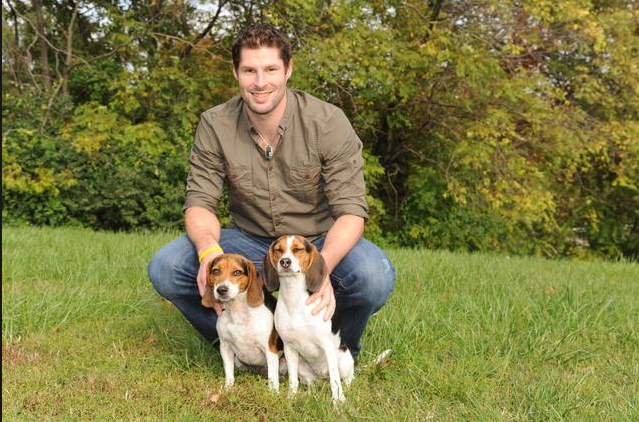 Bonus Round: Troy Brouwer. Gator might be trading in both halves of Carlzer for the new guy. Welcome to DC! And the Hurricanes. As I Tweeted, Eric Staal in person is a MAJOR AWARD. 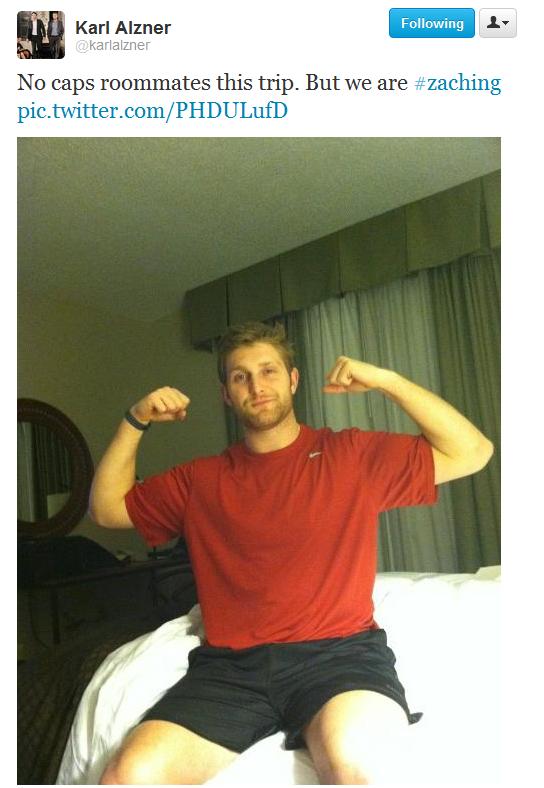 Carolina, you are now at the top of the WUYS Road Trip List. 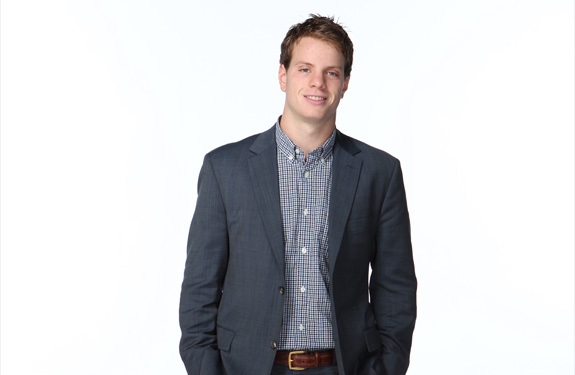 And Intern Jeff Skinner is… such an intern. He can’t stop moving (not for a second) and just runs around the ice like a puppy who ate a whole birthday cake, grinning from ear to ear. We might have to start paying him for being so adorbs. Tonight, it’s Stammertime. We won’t even know which way to look. Dawn Cherry: Resident Ovechkin fan, bribed her way in with Crosby-themed jewelry. Chocolate Ice: The voice of reason, aka only male author. It's Foxy Friday and Happy Birthday Alexander Ovechkin!